Coherent’s next generation direct-diode laser the HighLight D-Series, delivers both high power and an increased range of “smart” output beam shapes. Making it the ideal source for laser heat treating, cladding, and welding applications-all at faster speeds, greater deposition rates and larger areas. The newest member of this series, the HighLight 10000D provides up to 10 kW of direct-diode power at 975 nm. It is the leading direct-diode laser system currently available with free space beam delivery (no fiber-coupling needed). 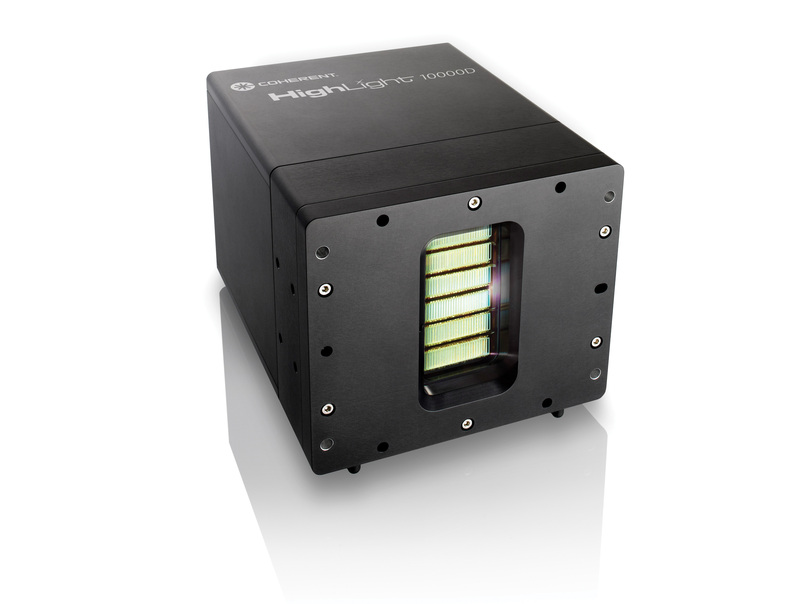 Free space beam delivery preserves the inherent brightness of the diode laser source and enables the use of an optical system with a large (275 mm) working distance. The HighLight D-Series is also offered with 4 kW and 8 kW of power at 975 nm.